Solar eclipse 2015: chance to turn the plot around? My guys (11 and 9) have a “Newsflash” they read at school and this week it is about the solar eclipse 2015. I am not sure you will be able to see it in your part of the world. In my town it will be visible Friday morning. Solar eclipse: the chance for a plot twist? I remembered the solar eclipse of 1999, being at the depressive fin de siècle of that period of time. I was standing at the railway station (very symbolic, in retrospect) going to a job interview. I did not get the job nor did I want to get hired there. I did however meet some very good people who helped me very much get settled into the capital of the Netherlands, where I worked for a couple of years. But the solar eclipse did not turn out to be the plot turn that it often is in movies and books. I hope my guys will see the solar eclipse Friday, I hope their teacher will take them outside or let them experience the magic of the darkness. I remember that when I was a child, I used to take a bath every Saturday afternoon. When I got out of bath all smelly and refreshed I used to walk downstairs where the television was on. 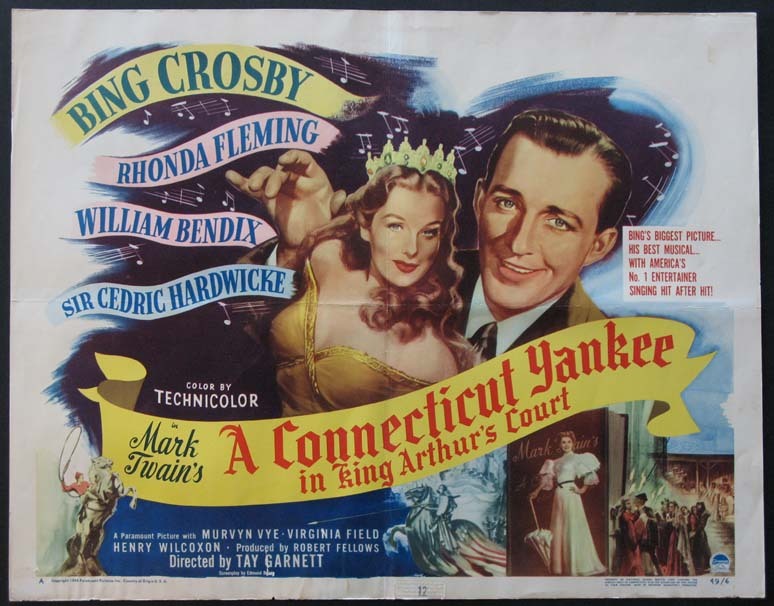 One day I watched “A Connecticut Yankee in King Arthur’s court”. In that movie Hank Morgan has traveled back in time to Arthur’s’ court and uses the solar eclipse to escape his execution. I can remember Bing Crosby (playing Hank Martin) was staring at the sun and making all kind of magical gestures to let the people think he controlled the sun. In books and films the solar eclipse makes sure that a solar eclipse ignites a sudden turn of the plot and even explained it. It is like the solar eclipse unleashes spiritual energies. Or is it all play and make-believe, like in “A Connecticut Yankee”? I want to capture the opportunity to become aware of two realities like a shaman does. It feels like a magical time so let’s take the opportunity. Meditate on roads you can take and lives you want to lead. Be in the dark for a while, and listen to the inner voices. The voices of your spirit, the voices of your ancestors. If you want to watch the spectacle: here is the link to do it. Next PostNext What does my dream mean?